For over 16 years we’ve supplied our partners with the very latest in barcode scanning technology. From fixed scanners and portable terminals, to handheld devices and the very latest in RFID solutions, we work hard to supply our partners with the very best and most reliable solutions for their customers. We’re more than just suppliers. We’re Partners. You’ll benefit from years of experience and dependable support, not to mention countless resources to help you secure orders and deliver the very best barcode solutions for your clients. What can Barcode Connexions do for you? We’ve spent over a decade nurturing strong relationships with some of the best manufacturers and distributors in the industry. With comprehensive after-sales support and expert assistance whenever you need it, you’ll always be able to provide the right solution for your clients. Find new solutions and supply lines, maintain your profits and learn how to sell effectively. We`ll put you in touch with the ideal partner to find a scanning solution that works for you. Whether you’re moving to a paperless system and need new ways of tracking stock, or you’ve chosen a new loyalty card scheme and need help implementing the right technology, we can help. Able to read all global 1D and 2D barcode symbols, our range of handheld scanners are among the very latest and innovative available on the market today. Perfect for busy, real-world environments where volume, speed and flexibility make all the difference. Powered by Android or Windows, our range of PDA portable terminals offer an all encompassing barcode scanning solution on the move. Ideal for large retail spaces or sprawling shop floors where information needs to be collected on the move from multiple locations via the cloud. We are at the cutting edge of RFID technology, providing a range of solutions from terminals and tablets to fixed readers and robots. Perfect for items that need to be scanned at a distance or where simultaneous multiple item scanning is needed. Our range of Information terminals and tablets provide an all-round solution in store or on the move. Terminals are perfect for communicating price and product information, and tough tablets provide up to date information directly into the hands of the field worker. From stand alone counter top systems to fixed built-in kiosk, our range of fixed position scanners offer dependability and accuracy like no other. 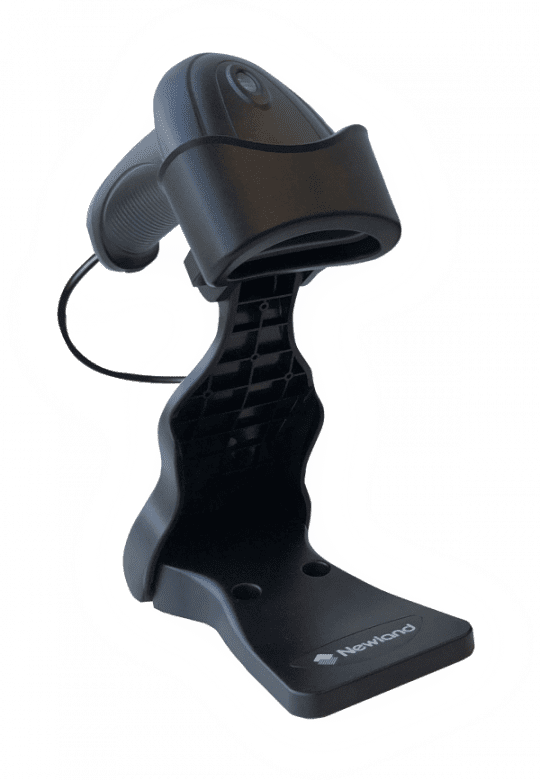 Perfect for fast, frequent scanning of QR codes on mobile screens or automatically scanning items that follow a set path. We stay at the forefront of barcoding and RFID technology, constantly updating our product range and knowledge to help our partners make successful sales. We don’t just provide products, we provide all the services our partners could need to encourage their customers to buy with confidence. Our resources include assistance with marketing, sales material and training, part exchange, product setup, warranties and repairs, and more. We’ve cultivated a close relationship with some of the world’s leading device manufacturers to give our partners the very best choice, whatever their needs. Get in touch today on 01442 217384 to discuss your needs with one of our friendly team. Alternatively, use the request a call back button below to leave a message and we’ll get right back to you. We’re delighted to introduce the newest member of the Barcode Connexions Team, Spencer Tailford who joined us in June 2018. With 7 years working in Auto ID, Spencer brings a range of skills that will benefit many of our customers. Newland ID break new ground with an all-new upgrade to the MT65 Beluga. The real game changer here is the introduction of a megapixel scan engine. Now you can captures barcode images in greater definition, allowing the decoder to read even small codes. Find out more about what we do, meet the Barcode Connexions team, and learn about some of our trusted partners.